IOOFTV is a commercial free, unlimited central repository for public relations programs that may be of interest to members of the Independent Order of Odd Fellows. To order videos on a USB memory stick, to host your video productions, or for the IOOFTV News team to report from your event email astrahan@mac.com. An HTML5 capable browser, a fast internet connection, and Windows 7 or MacOSX 10.7 (or newer) are recommended to view the programs online. If you have a slow internet connection it may take several minutes for the videos to download. You may optionally download the video to your computer as an .mp4 file by right-mouse-button clicking on the player and then, after the download has completed, play the file in any modern web browser. If you are still using the now obsolete Windows XP, a movie player (e.g. Apple's free Quicktime for windows) might be necessary. Please be patient, many of the files are large. New content is added as we produce or receive it. 5/7/17 IOOFTV-News: Highlights from the 84th annual IOOF Pilgrimage to the Tomb of the Unknowns (31 min). 7/22/15 IOOFTV-News: Costa Mesa Lodge #29 hosts Special Olympics delegations from Aruba and the Bahamas. 7/11/15 IOOFTV-News: Costa Mesa Lodge #29 deep sea fishing trip. 7/4/15 IOOFTV-News: A visit to Ontario Lodge #345 and the Independence Day Parade. 6/28/15 Unedited video clip of Rita Cooper's comments at the 3 Links Camp Festival. 6/22/15 IOOFTV-News report: Interview with SGM Jimmy Humphrey. 5/30/15 IOOFTV-News report from the 18th Annual McKinley Childrens Home Raging Rubber Duck Race Fundraiser. 5/20/15 IOOFTV-Documentary report from 163rd Session of the Grand Lodge of CA: GM Report, RCS Report, Bill #12. 5/16/15 Unedited video clip from the installation of Dave Rosenberg, the 2015-16 GM of the jurisdiction of CA. 5/3/15 Unedited video clip of the SGL wreath presentation at the Tomb of the Unknowns. 5/3/15 IOOFTV-News report from the 2015 Pilgrimage to the Tomb of the Unknowns: Highlights of ceremonies at the Tomb. 5/2/15 IOOFTV-News report: SGM Jimmy Humphrey talks about mutual benefits and our tax exempt status. 5/2/15 IOOFTV-News report from the 2015 Pilgrimage to the Tomb of the Unknowns: The $2500 belt buckle. 6/22/15 IOOFTV-News: Interview with SGM Jimmy Humphrey. 5/2/15 IOOFTV-News: SGM Jimmy Humphrey talks about mutual benefits and our tax exempt status. Friendship Lodge #12 Washington, D.C. 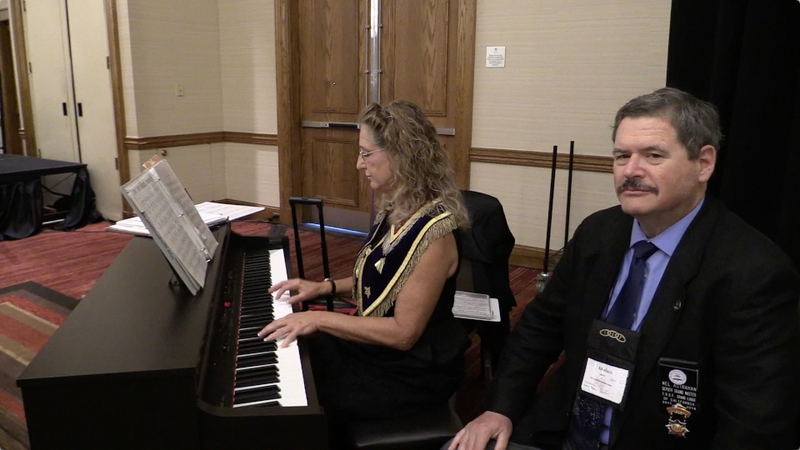 Featured Show: The musicians of the Sovereign Grand Lodge. We're putting Odd Fellowship on the map!